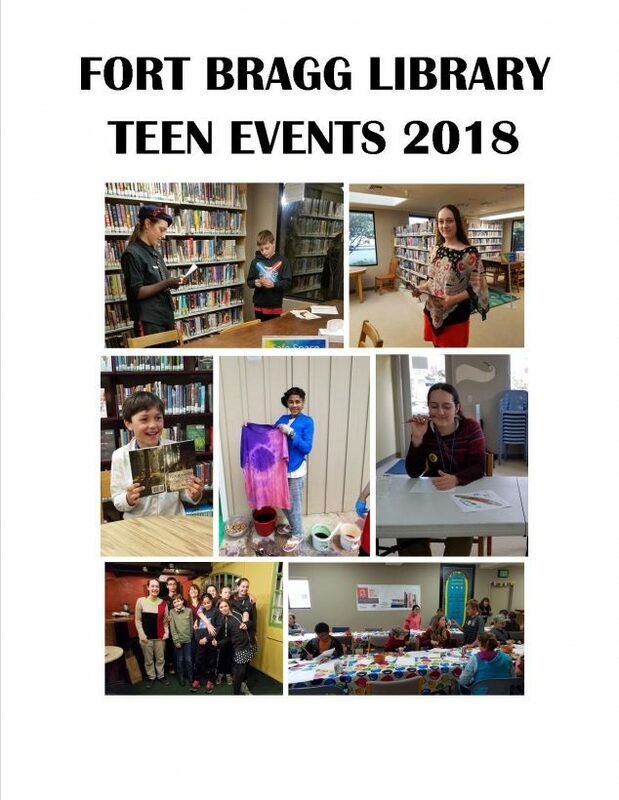 Check out all the great happenings at Fort Bragg Library for Teens in the past few months. Missed out? Well, take a look at our Event Calendar for what’s coming up and join us for the fun! 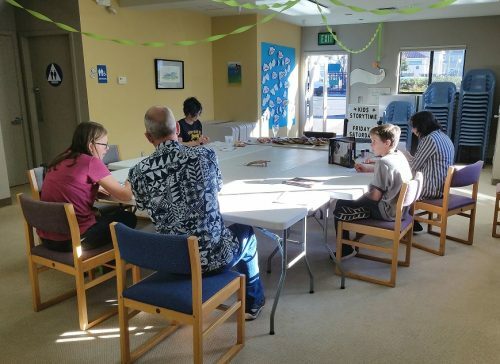 Lots of fun creating characters and going on adventures at our Teen D&D programs. On varying Wednesdays. Stop by and check out what all the talk’s about! And the winner is……. mrpeanit butter from Elk, CA. Congratulations and thanks for participating! Teens! 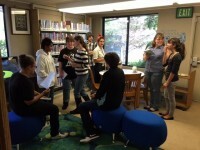 Enter the Fort Bragg Library Video Review Contest and see your video on YouTube and our website! Put together a short video review of your favorite movie, TV show, book, video game, or album, upload it to YouTube and enter to win our Video Review Contest. Be as creative as you like. Send a link of your video to fortbraggywp@gmail.com by March 12th to enter and include your name and contact info. Winners will be announced on March 13th. All reviews will be featured on fortbragglibrary.org and on our YouTube channel. Contest is open to all teens, Ages 12 to 19. To celebrate the winner, Fort Bragg Library will be presenting a special, free screening of Scorch Trials, the just released follow-up movie to the Maze Runner. Join us Friday, January 29 @ 3:30 pm for Scorch Trials. *Not familiar with Crunchyroll? Think of it as Netflix for Anime fans. 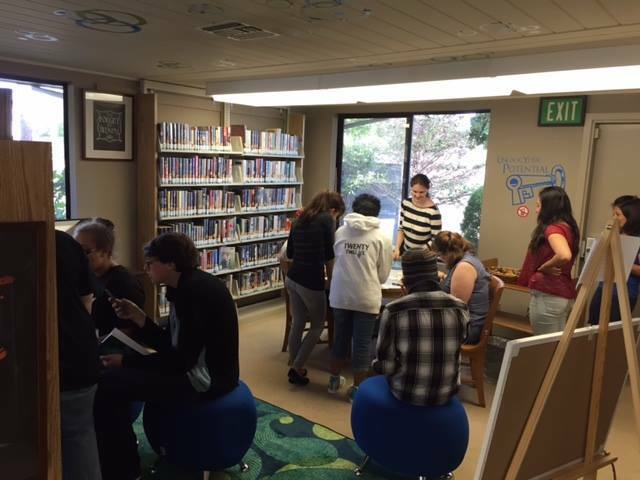 The Teen Open House was a huge success at Fort Bragg Branch Library! 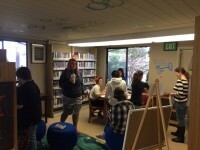 Had the Battle of the Books kickoff, door prizes, snacks, books and fun contests. 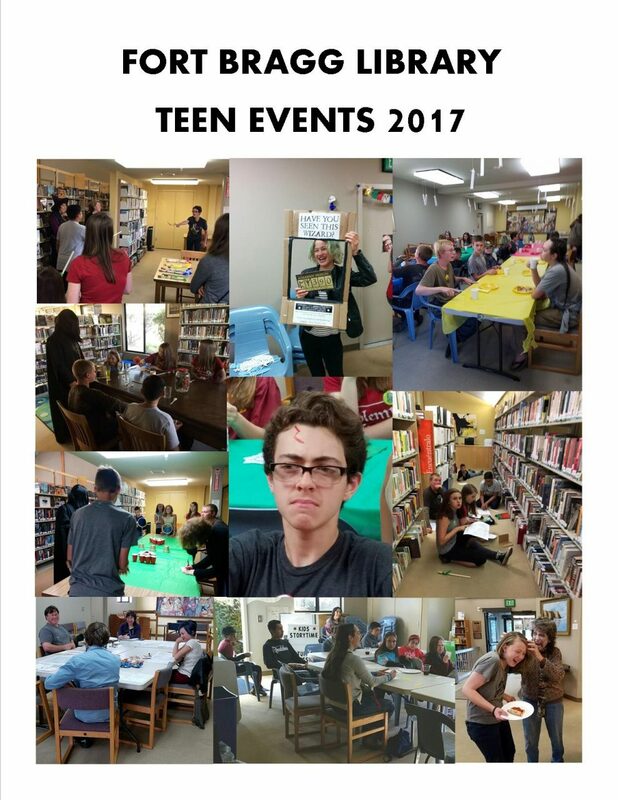 Thanks to all the teens who participated! 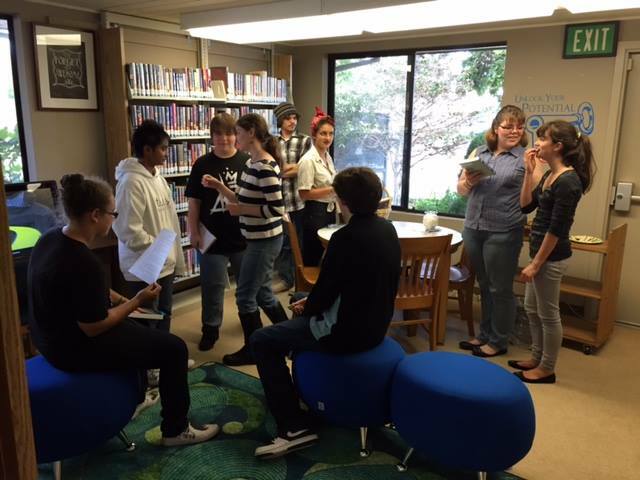 We’re cutting the ribbon and launching our Teen Lounge with an Open House, August 28, 2015, from 5-6 pm. 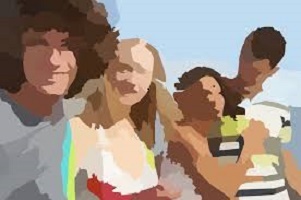 At the Teen Lounge Open House we’ll have refreshments and door prizes for those who stop by. 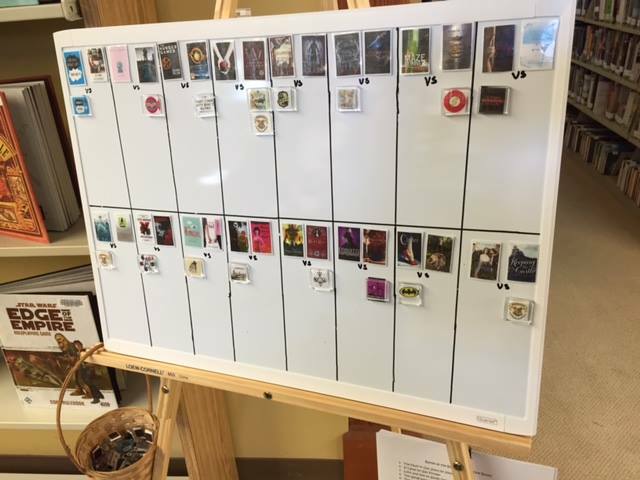 We’ll also kick off our Battle of the Books competition (aka the Hunger Games of Young Adult Fiction). Battle of the Books is an opportunity for teens all along the Mendocino coast to vote on their favorite young adult books. We’re starting with thirty-two top Young Adult titles, and, with your votes over the next few months, we’ll be whittling them down to one. Voting for the first round starts at the Open House and will continue through September. So bring your friends and help us celebrate the new Teen Lounge at Fort Bragg Library! Questions? Call the library at 964-2020.